The discovery of a massive alligator in a garage leads to removal and relocation of the big animal. 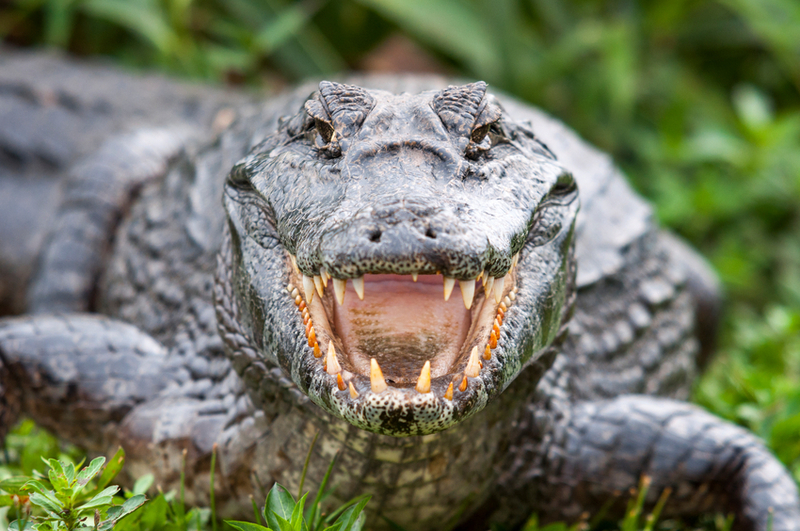 A Texas man found a way to laugh after finding a 10-foot, 300-pound alligator in his garage, but the laughter wasn’t until after the gator’s removal. ABC 7 reports Douglas Dallmer found the huge alligator between his lawnmower and garage wall in his Fulshear, Texas, home. “I’m thankful he wasn’t hungry when I walked out the garage,” Dallmer told the news station with a laugh. ABC 7 reports animal removal experts removed the gator and relocated it to R6 Outfitters in New Caney, but it didn’t come without a fight. “As he tried to put the noose on him, he was hissing and biting,” Dallmer told the news station. “He became very violent. Video of the removal can be seen below, courtesy of KPRC2.